As a non-musician, to me the person who is one performs magic. And when a band’s members combined their talents, that magic amplifies into the mystic. There are many great musicians, but the frequency of musicians finding their compliment and to create even greater magic happens far less often. Such seems the case with the Who. The young John Entwistle played trumpet, fluegelhorn, and piano as well as bass. In 1959 he played trumpet in a traditional jazz band that also included Pete Townshend on banjo. In 1961, Roger Daltrey invited Entwistle to join Daltrey’s group, The Detours. Six months later, Entwistle persuaded Daltrey to let Townshend join. In the spring of 1964 Keith Moon joined they became The Who. The Who’s magic did not just come from each member’s talent, which was outstanding, but from their interaction. Entwistle’s bass was more like a lead guitar playing counterpoint to Pete Townshend’s more rhythmic guitar playing. Moon’s drumming became famous for it’s high energy non-stop support of the band’s whole sound with Roger Daltrey’s vocals entwining all into the Who’s. Entwistle help create their distinctive sound by cultivating a lead style of bass, underpinning Pete’s more rhythmic style of guitar playing with inventive runs in a higher register than most bass players, while at the same time keeping the group’s timing rigid during Keith’s volatile thrashings. While Pete Townshend composed most of the band’s material, Entwistle contributed some of their songs, odd as they were. “Whisky Man,” “Boris The Spider,”Doctor, Doctor,” “Someone’s Coming,” as well as “Cousin Kevin” and “Fiddle About” from the band’s most famous album, Tommy. Entwistle’s French horn skills were also featured on that album. 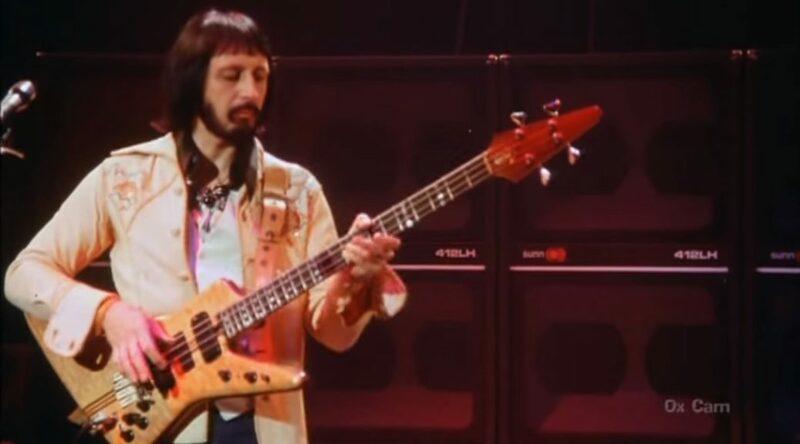 In 1971 John Entwistle became the first member to release a solo album, Smash Your Head Against The Wall, Other solo studio albums were: Whistle Rymes (1972), Rigor Mortis Sets In (1973), Mad Dog (1975), Too Late The Hero (1981) and The Rock (1996). In 1975 he toured with his own band, Ox [taken from his nickname in the Who]. He also fronted the John Entwistle Band on US club tours during the 1990s and appeared with former Beatle Ringo Starr’s All Starr Band, in 1995. Entwistle died from a heart attack on June 27, 2002, in Las Vegas. The Who were about to begin an American tour which they did do with replacement bassist Pino Palladino. Later Entwistle’s body was repatriated and buried in the village church in Stow-on-the-Wold, Gloucestershire, where he lived with his partner, Lisa Pritchard-Johnson. Jim Fielder’s musical path has been an great one. Not surprisingly, it parallels many musicians’ stories and most interesting of all the bands and performers he has played with as well as simply crossing paths with. Fielder was born in Denton, TX. He started playing guitar at the age of seven. His early influences in the 1950s were people like Elvis and the Everley Brothers. In high school he started playing an upright acoustic bass. Ralph Pena, Frank Sinatra’s bassist, tutored him. As a young bassist he listened to musicians such as Ray Brown, Ron Carter, and Charles Mingus. In the 60s his first band was “The Bohemians” a group that Tim Buckley was in as well. They went to amateur nights at the Troubadour in Los Angeles. Buffalo Springfield was one of the groups playing there. Tim Buckley got a recording contract with Electra Records and Fielder played on some of the tracks on Buckley’s first two albums. im Fielder also played with Mastin & Brewer (later evolved into Brewer & Shipley). The drummer of M & B knew Frank Zappa and an introduction led to Fielder playing with Zappa’s Mothers of Invention as a guitarist. He was with the Mothers when they recorded the Absolutely Free album, but his name does not appear on the album because he’d left the band before the album’s release and Zappa excluded Fielder’s name. The band Fielder joined after the Mothers was Buffalo Springfield. He played bass for them while their original bassist, Bruce Palmer, was out of the country in Canada with visa issues. When Palmer resolved those issues he returned to the band and Fielder left. He did get a shout out on the back of the Springfield’s second album, Buffalo Springfield Again, amongst the many names the band thanked. Another path. Another relationship. Jim Fielder was “in between” bands. While playing at the Fillmore in San Francisco with Buffalo Springfield and the Mothers, Fielder had met Al Kooper and Steve Katz from the Blues Project. When Kooper left the Project he lived with a neighbor of Fielder’s. Drummer Bobby Colomby joined the nascent group with Katz forming a quartet. 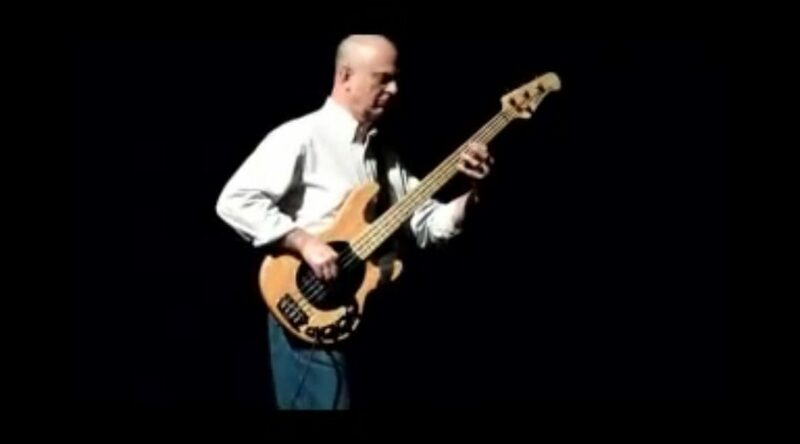 Saxophonist Fred Lipsius joined two months later. They played at the Fillmore East. Lipsius recruited New York jazz horn players he knew. The final Blood, Sweat and Tears lineup debuted late November ’67 at “The Scene” in New York. Fielder stayed with the band until 1974. He returned to Los Angeles in 1974 and began freelancing. He worked with Danny O’Keefe and Chris Hillman and was the musical director for Bing Crosby’s grandson Chris. 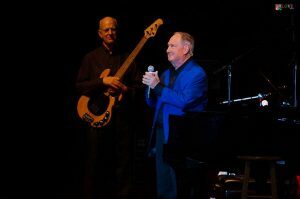 Then the opportunity to work with Neil Sedaka was on Fielder’s path in 1976. It was an offer he couldn’t and didn’t refuse and Fielder has basically worked with Sedaka since. Much of the information for this entry came from this article. Being in the limelight is not necessarily something one wants for their whole life. Despite the curiosity that fans may continue to have, the limelighted person may prefer to let the glare go away. Such is seemingly the case with Christina Licorice McKechnie. A member of the Incredible String Band and with them when they performed at the Woodstock Music and Art Fair, little if anything is known about her currently with any certainty. McKechnie was born in Edinburgh, Scotland on October 2, 1945. 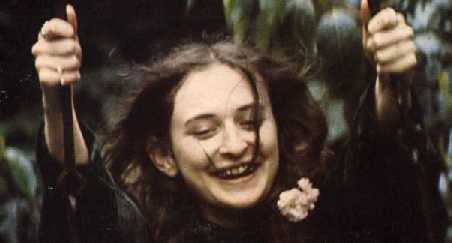 In the early 1960s she met Robin Williamson, one of the founding members of the Incredible String Band. She left home with the intention of marrying Bert Jansch, another British folk musician who became a revered leader of the British folk scene. The wedding never took place. McKechnkie rejoined Wiliamson and in 1966 she traveled to Morocco him. She became a member of the Incredible String Band performing mainly as a backing vocalist and percussionist. She left the band in 1972 when she and Robin Williamson parted ways. 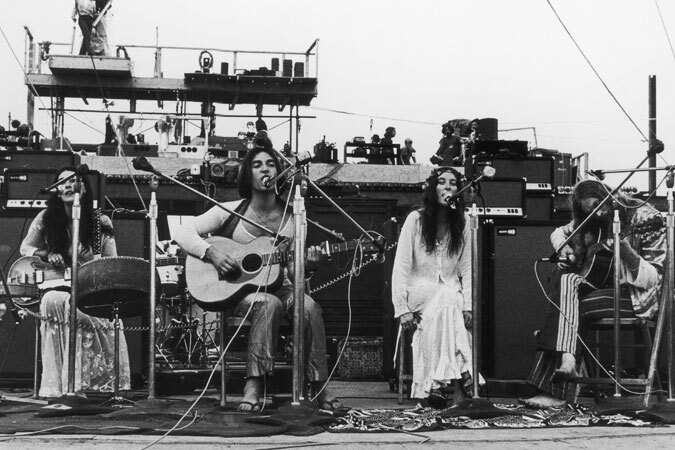 I wish I could say more about their Woodstock performance. They were scheduled to play on Friday with the other folk-based performers, but the disrupted scene forced the festival’s organizers to postpone ISR’s performance to the far more loudly electric Saturday. It was late that afternoon and friend Tony and I were getting hungry, not having eaten anything since Friday dinner. ISB’s performance slot seemed like a good time to search for some sustenance at the Food for Love concessions. No food and little love. And no Licorice. Her current status is a mystery. Some say they saw her hitchhiking in California decades ago. She is assumed dead by many who say they should have heard from her but haven’t. Others say that they have heard from her and she prefers anonymity. Here is a link to a page that appears to be a fan site. The Incredible String Band occupies an interesting piece of the 60s I was familiar with their music thanks to FM radio, Many find their music inaccessible, but with a bit of time and attention, I find most of the Band’s compositions wonderful.